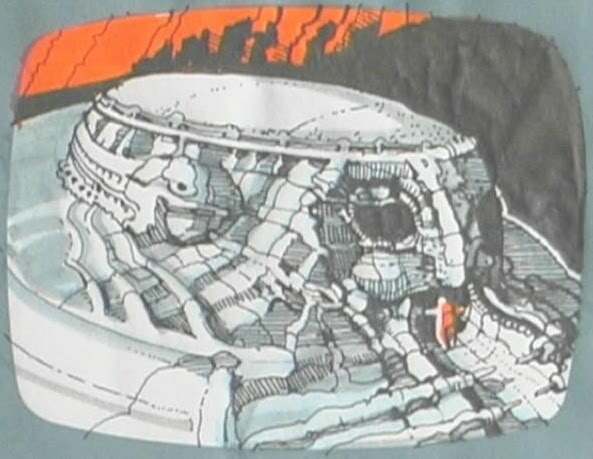 Giger's Dune I Entrance to the Castle Harkonnen. 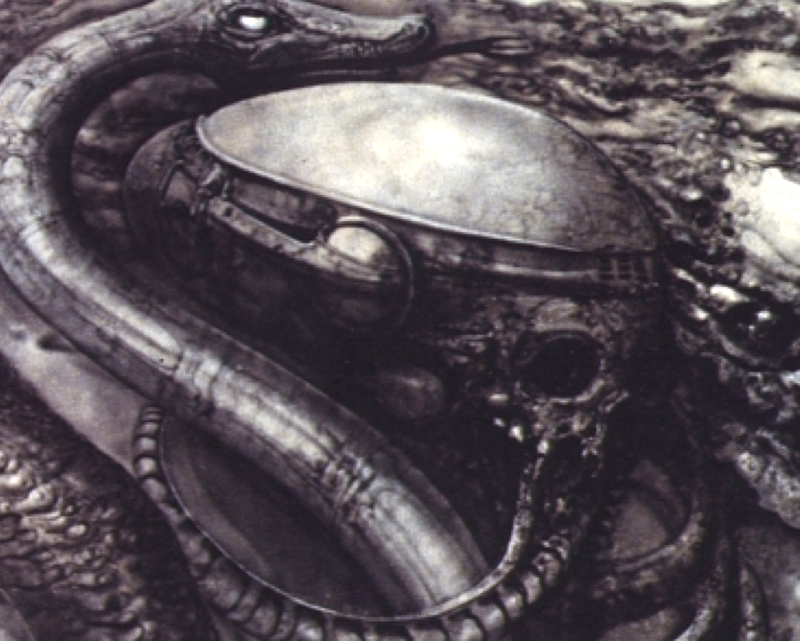 b) Entrance of the egg silo based on a head from HR Giger's Painting "National Park"
A skull from Giger's painting National Park from 1975. 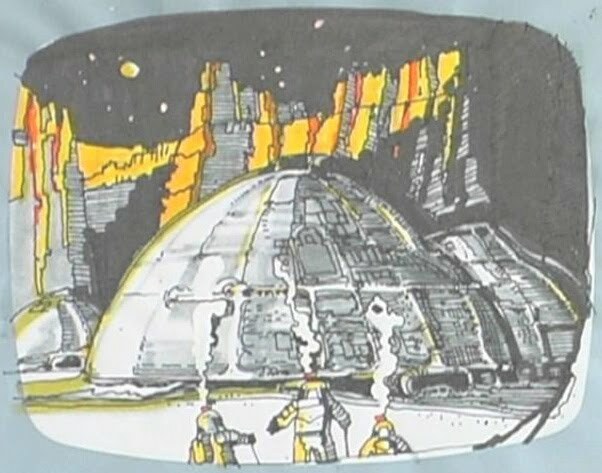 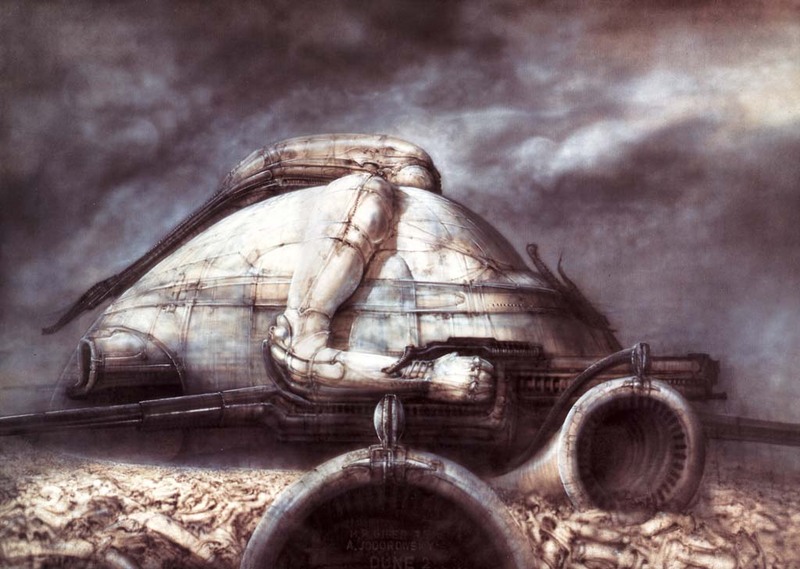 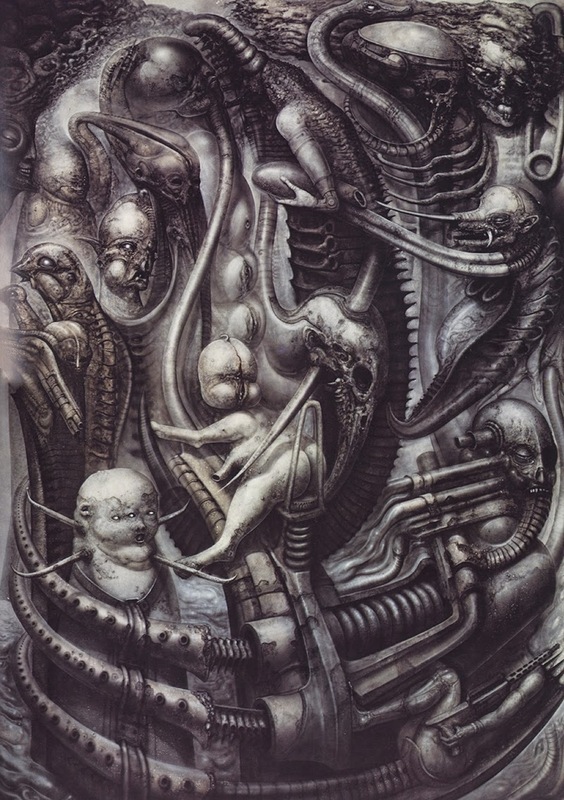 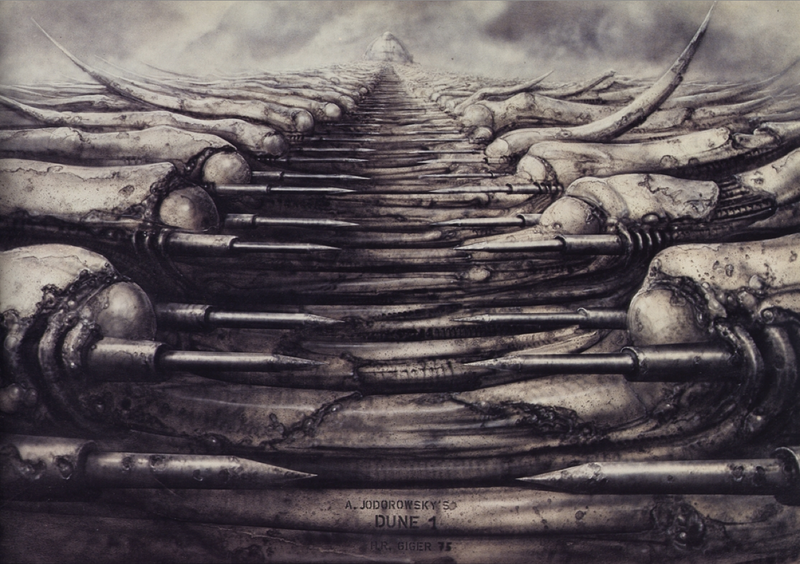 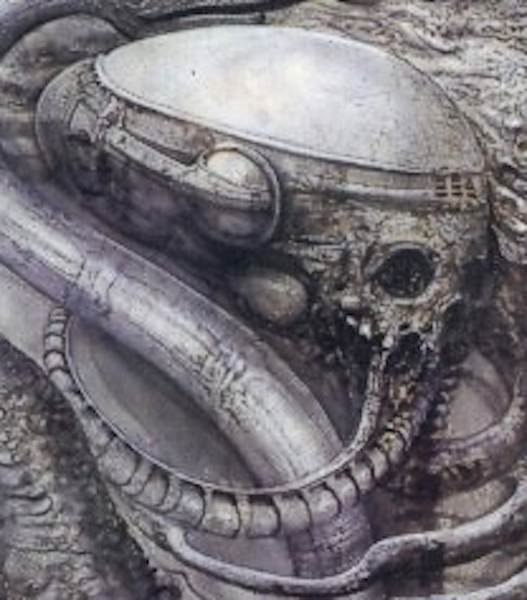 Giger's painting "National Park " from 1975.